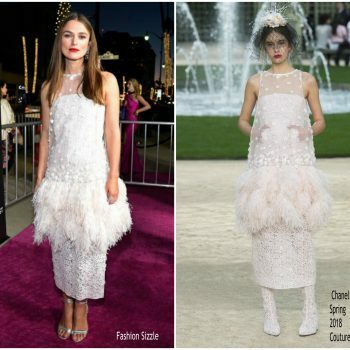 Keira Knightley attended the Colette Paris Premiere in Paris on Thursday (January 10) She wore a Chanel Fall 2012 Hate Couture design. 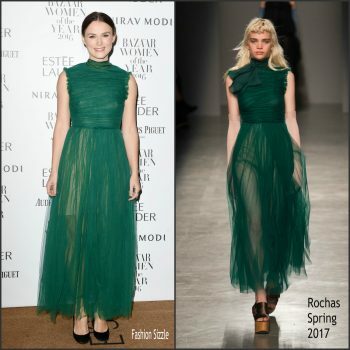 Keira Knightley attended The Nutcracker And The Four Realms held at Vue Westfield on Thursday evening (November 1) in London, England. 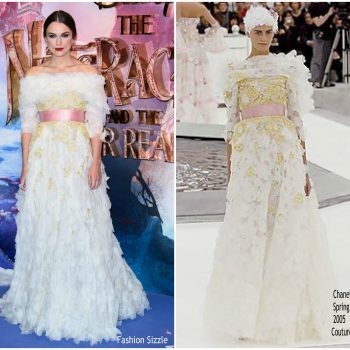 She wore a Chanel Spring 2005 Haute Couture gown styled with Chanel earrings. 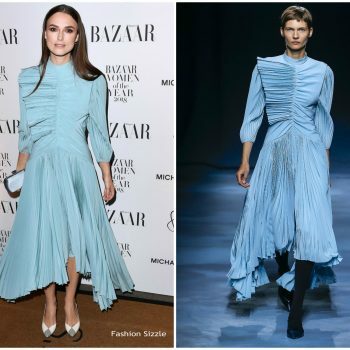 Keira Knightley attended the 2018 Harper’s Bazaar Women of the Year Awards October 30) She wore a pale -blue Givenchy Spring 2019 dress. 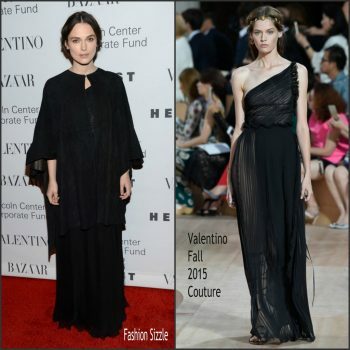 Keira Knightley, made a guest appearance on ‘The Ellen DeGeneres Show’ on Tuesday (October 16). 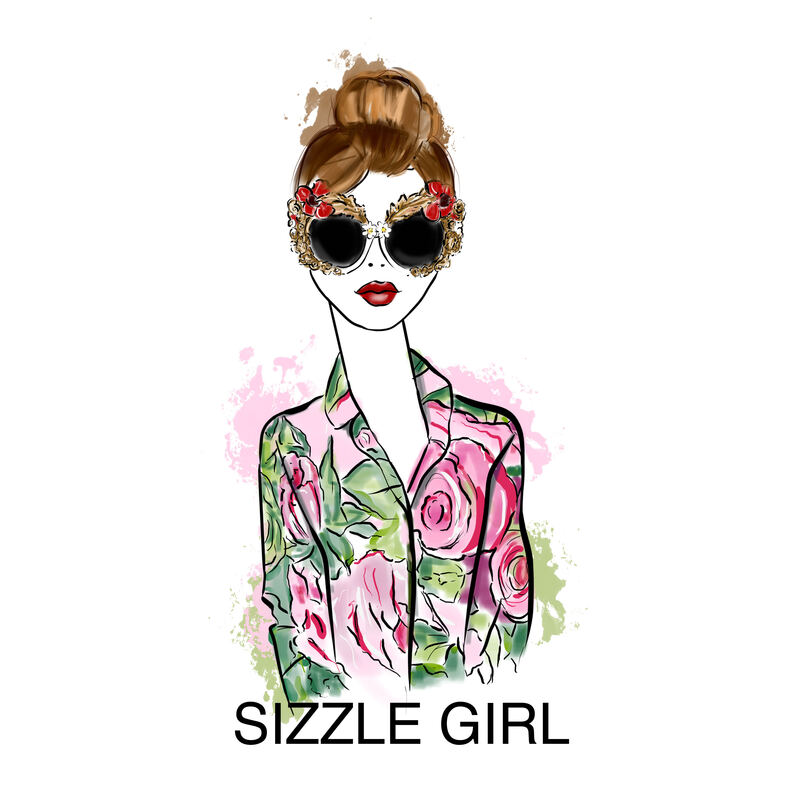 She wore a Peter Pilotto Spring 2019 dress with a pair of Tabitha Simmons heels. 'Screen Talks' with Keira Knightley at the 62nd BFI London Film Festival on October 12, 2018 in London, England. 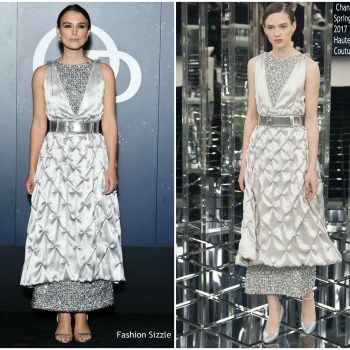 She is wearing a Chanel Fall 2015 Haute Couture dress styled with silver heels. 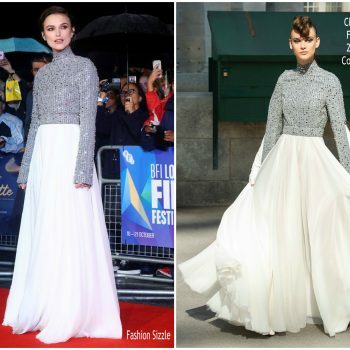 Keira Knightley attended the BFI Film Festival premiere of ‘Colette’ on Thursday (October 11). 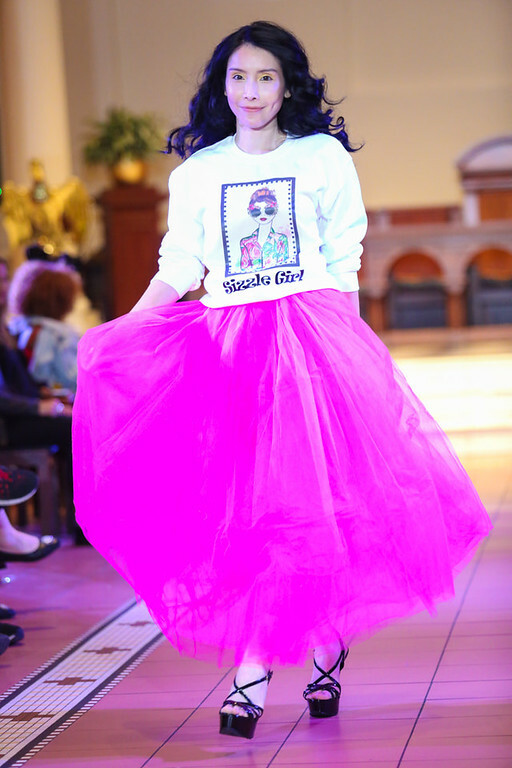 She wore a Chanel Fall 2018 Haute Couture design. 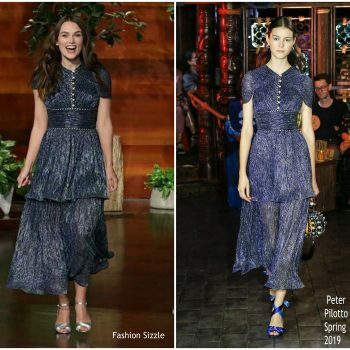 Keira Knightley’ made a guest appearance on ‘The Late Show with Stephen Colbert.’ She wore a Valentino Fall 2018 Haute Couture design styled with Jimmy Choo ‘Mischa’ heels. 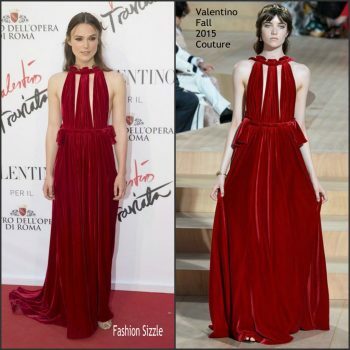 Keira Knightley wore a Chanel Fall 2017 Couture navy tea length gown with midnight beading to the Colette premiere at the 2018 Toronto International Film Festival. 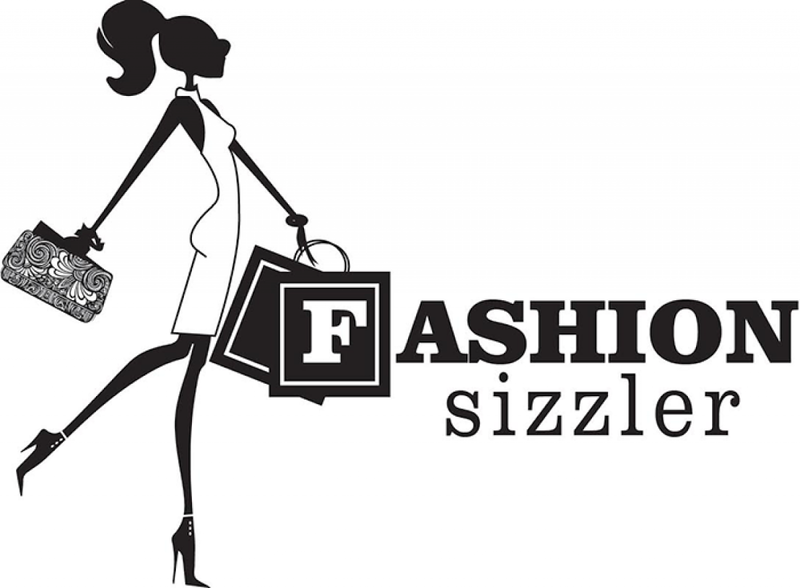 She’s also wearing Chanel Fine Jewelry. 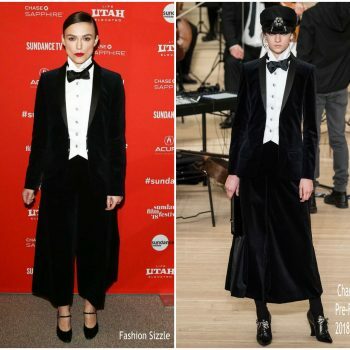 Keira Knightley was in attendance at ‘Colette’ Sundance Film Festival premiere. 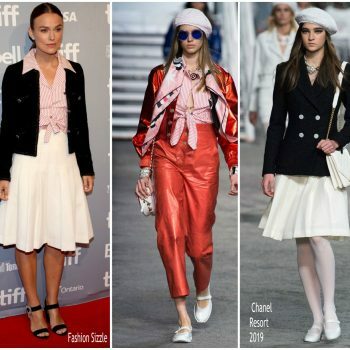 She wore a Chanel Pre-Fall 2018. She styled with Chanel accessories including shoes and jewelry. 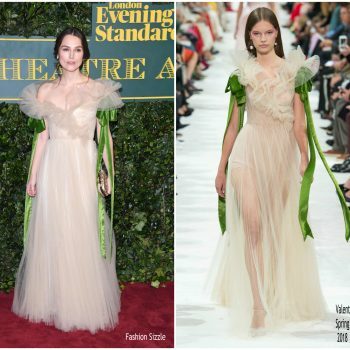 Keira Knightley attended the London Evening Standard Theatre Awards at the Theatre Royal on Sunday (December 3) in London, England. 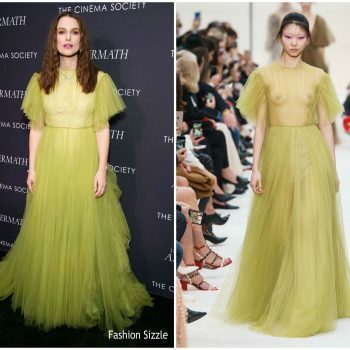 She wore a Valentino Spring 2018 tulle gown. 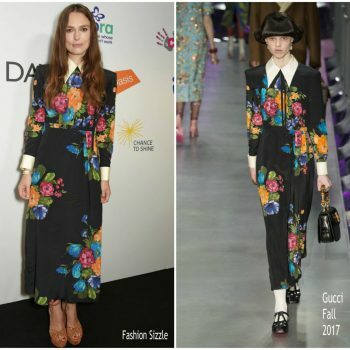 Keira Knightley wore a Gucci Fall 2017 dress to the BGC Charity Day representing SMA Trust in London.